2015 started out with the sad news that a beloved local restaurateur had passed. By summer, the number of San Diego’s craft breweries and restaurant openings and closures dominated headlines. 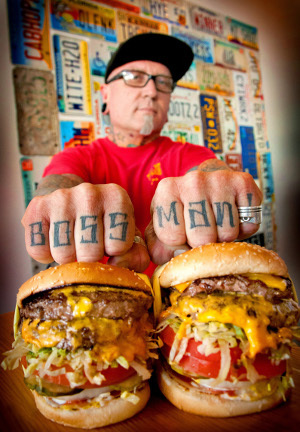 Mike “Bossman” Hardin -- who brought Hodad’s, the Ocean Beach burger institution, to national fame -- died Feb. 5 from a heart attack. Hardin, 56, took over Hodad’s -- which first opened in 1969 -- from his parents and expanded the restaurant to three locations. Hardin was honored by friends and family at a public memorial March 28 at Petco Park. Guy Fieri, who met Hardin when featuring Hodad’s on Food Network’s “Diners, Drive-Ins and Dives,” spoke at the tribute. Hardin is survived by two children. 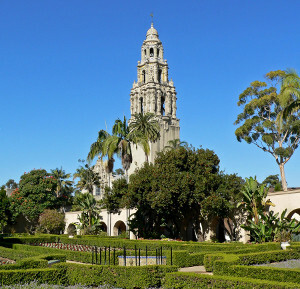 Balboa Park’s iconic California Tower opened to visitors Jan. 1 for the first time in 80 years. The Museum of Man raised funds to renovate the 462-foot-tall tower in time for the centennial celebration, and now 120 people per day can climb the tower by booking tickets in advance via the museum. The California Tower closed to the public right after the 1935 California Pacific International Exposition for unknown reasons. San Diego County saw its 100th craft brewery open this spring, solidifying the region’s reputation as one of the nation’s beer hubs. Meanwhile, Green Flash Brewing Co. prepped to open its new 12,000-square-foot facility in Poway and AleSmith Brewing Co. moved to its new 100,000-square-foot space in Miramar. The year began with news of notable companies and chefs setting up shop and investing in San Diego: Las Vegas-based Hakkasan Group (Omnia Nightclub); celebrity chef Rick Bayless (Red O); Michelin-starred chef Michael Huynh (Sovereign Kitchen + Bar); and Baja Med chef Javier Plascencia (Bracero Cocina de Raiz). San Diego-based restaurateurs were also active with new ventures. Cohn Restaurant Group put the final touches on Coastera, its ambitious Harbor Island project replacing the Reuben E. Lee, a former landmark floating restaurant; CH Projects revamped Neighborhood and Craft & Commerce while opening a second location for Soda & Swine in Liberty Station; Juniper & Ivy owner chef Richard Blais announced plans to open a casual breakfast spot in Little Italy; fellow “Top Chef” alumnus Brian Malarkey set the groundwork for a new market/café/restaurant on Kettner Boulevard. Unfortunately, several restaurants and eateries around the county closed their doors for good in early 2015. Fish Public in Kensington, La Villa in Little Italy, Bailiwick in the Gaslamp and Alchemy in South Park shuttered in the beginning of the year. Rich Sweeney, another former “Top Chef” contestant, closed his Hillcrest restaurant R Gang Eatery. In North County, longtime brunch spot Bellefleur closed without notice and real estate mogul Doug Manchester closed Bijou French Bistro in La Jolla. The most notable closure was Wang’s North Park, which occupied more than 12,000 square feet of space on the corner of University Avenue and Ray Street. The Asian-fusion restaurant had been a neighborhood landmark, as the side of the building is home to a mural painted by Mark Paul Deren. Visit sddt.com/hospitality for a weekly roundup of local industry news.